Pull the wool fibres apart so they have spaces between them. Add an additional layer with the fibres running in the opposite direction. Loosely wrap wool strips around your favorite bar of soap, covering entirely and overlapping the ends. 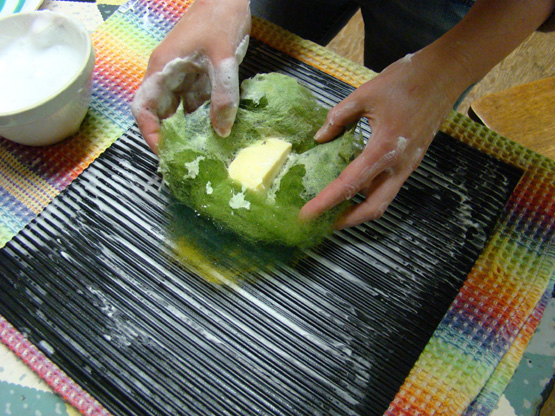 You can now add additional colours over your layers of wool around the soap. 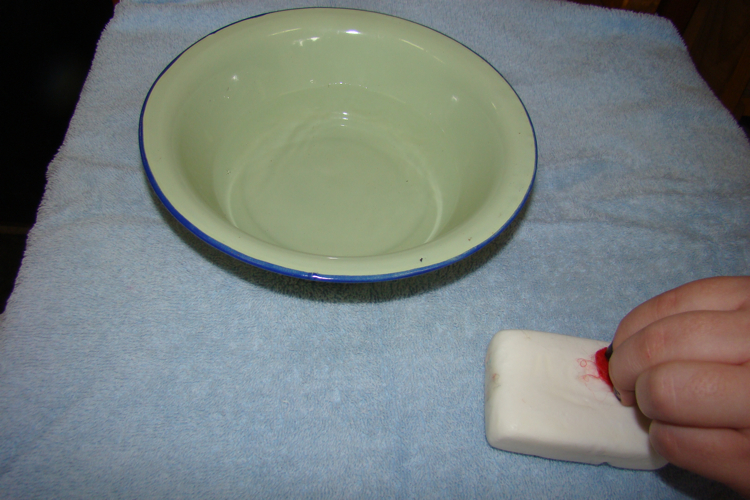 Hold onto the bar of soap and wet it in a bowl of warm water. 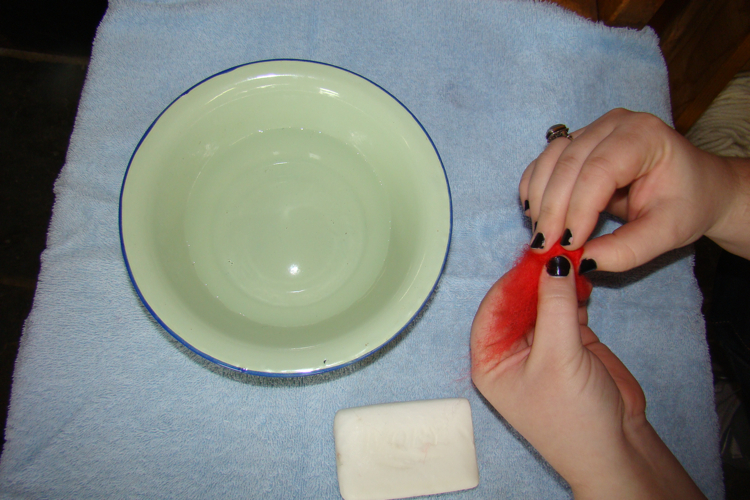 Remove from the bowl of water, and squeeze some of the water from the wool. 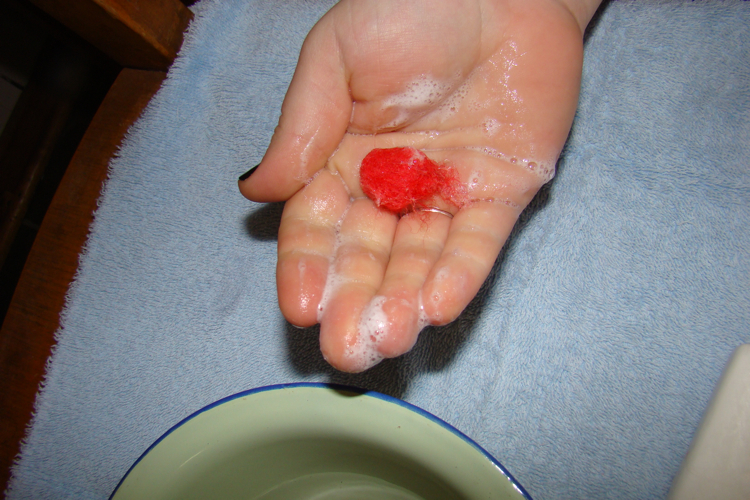 Begin rubbing the wool around the soap in your hands to get it all lathered up. Remember to rub all sides of the bar of soap. To help, you can also use a carpet runner with grooves, a felting, or wash board (or any other bumpy surface) for rubbing; kids like the "whooba whooba" sound. 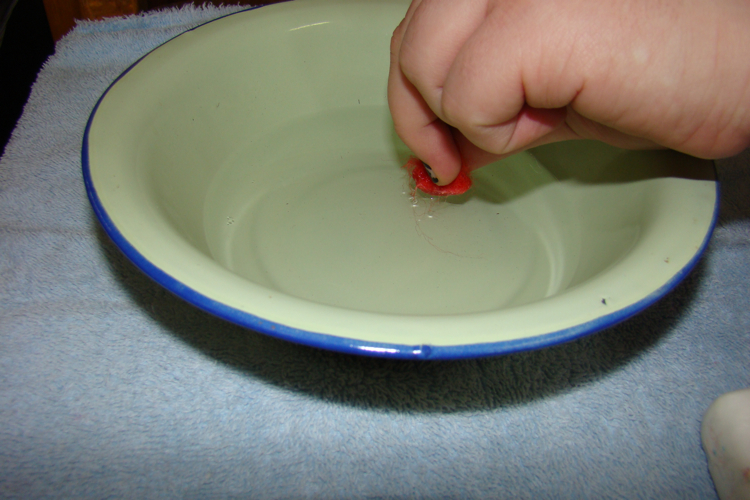 Add water as needed and continue rubbing until you cannot pull the fibres apart. 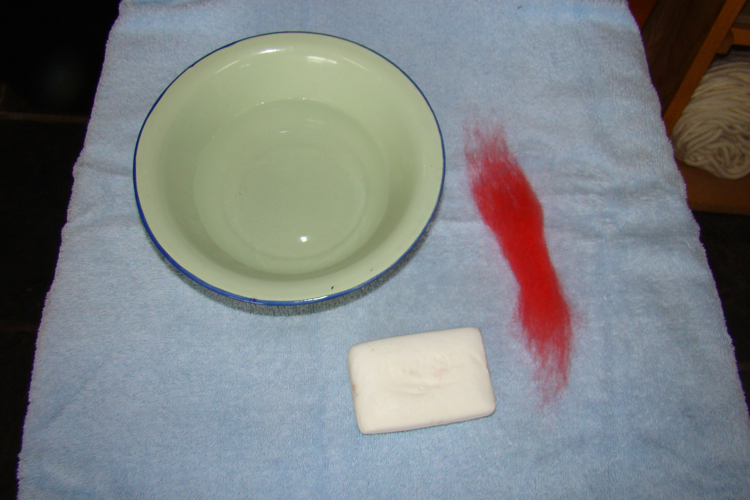 When completely felted, rinse the bar of soap in cold water. Congratulations! 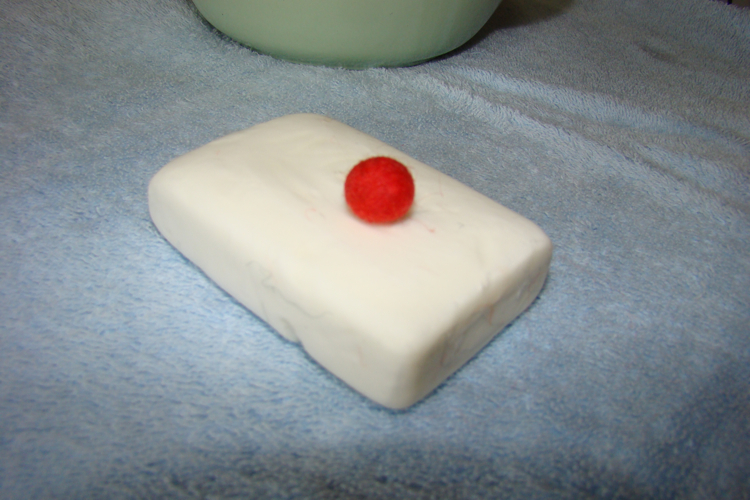 You now have your own felted bar of soap! You can use it in the shower or bath, and it can take place of your washcloth. 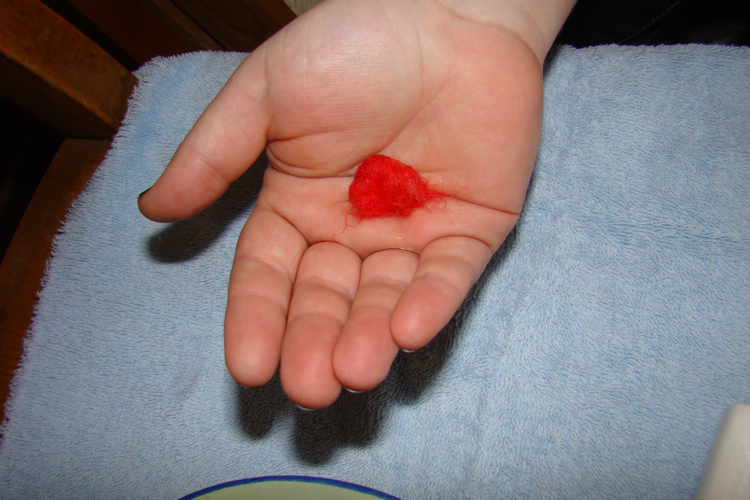 Once your bar of soap has melted with use you can plant the discarded felted wool in your garden. The roses love the wool, and will thank you by making more flowers! If the bar of soap is too big to felt in your hand, microwave for about 20 seconds (repeat if necessary), and cut the soap into smaller pieces. This is a great for little hands. 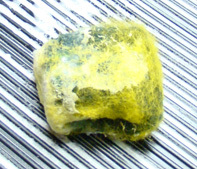 Click here to purchase wool sliver for felting. Roll the dry wool into a tight ball and hold for the next steps. Dip the ball into the hot water. 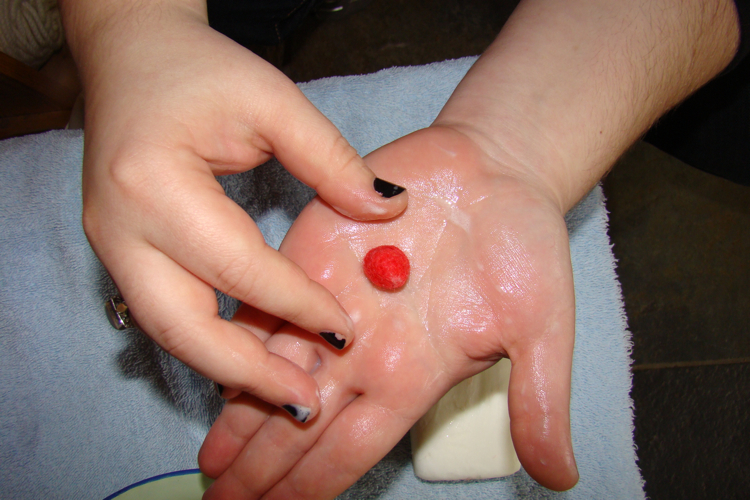 Rub the ball on the bar of soap to get it soapy. Repeat steps 3 and 4 until the ball is wet and soapy (usually 2 or 3 times total). Place the ball into the palm of your hand. Squish the ball several times until the soap becomes frothy. Repeat. Gently shape the ball back into a sphere. Gently roll the ball in your hands. Do not push too hard or the ball will flatten. If this happens, reshape into a sphere and repeat this step. As the ball rolls it will firm and you can apply a little more pressure. As the ball firms more, you can inrease the pressure as it shrinks. Stop when the ball reaches desired size and/or firmness. 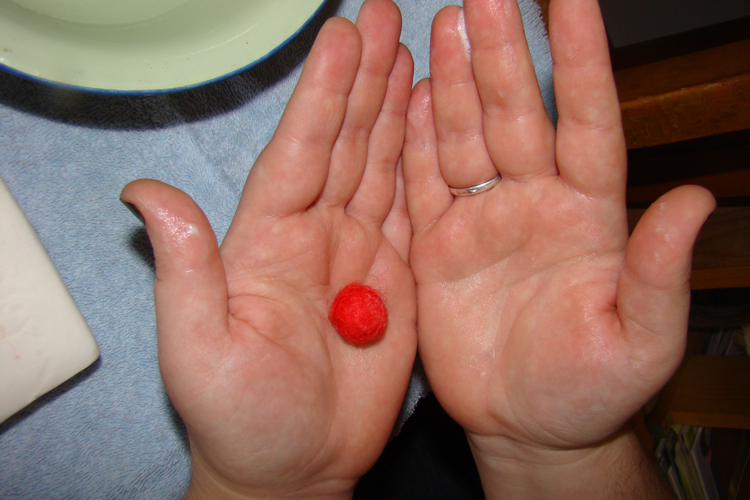 You can turn the ball into a bead by piercing it with any needle and pulling string through it. Wrap the wool strip loosely around your wrist, making sure the ends overlap. 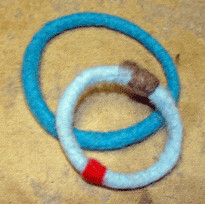 Remove the wool circle from your wrist and set it aside. 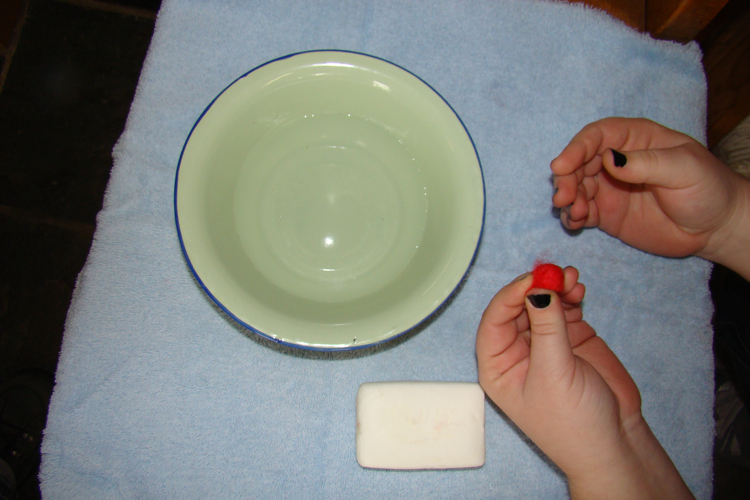 Wet your hands in hot water and rub them with a bar of soap until your hands are soapy. 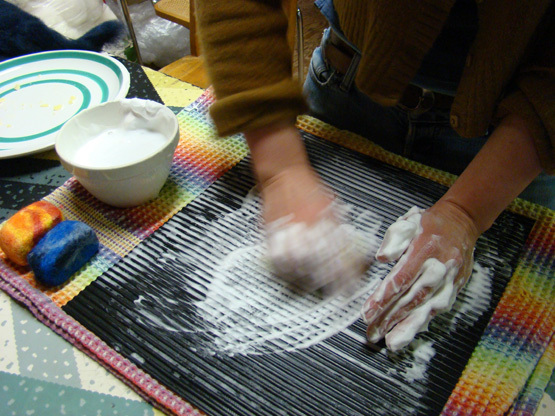 Lightly dampen the wool circle with soap and water from your hands. 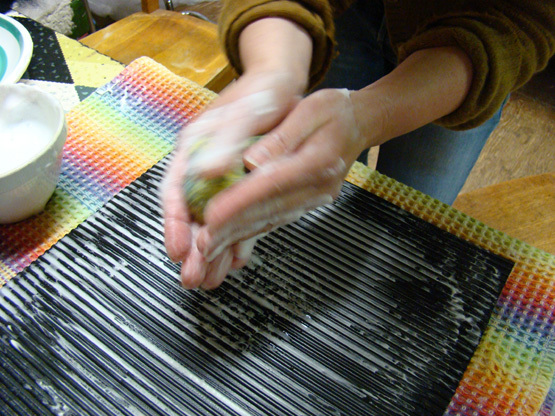 Work the soap into the wool until the wool fibres stick together. 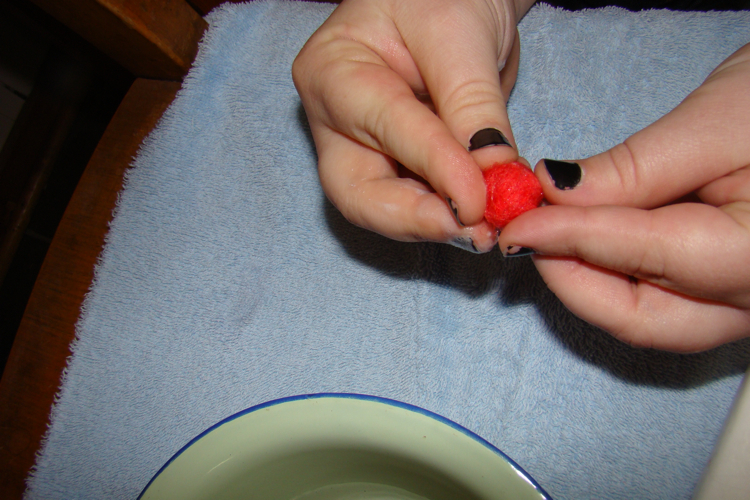 When the circle of wool is totally wet and soapy, insert one palm inside the circle, and the other outside. Quickly rub your hands back and forth. 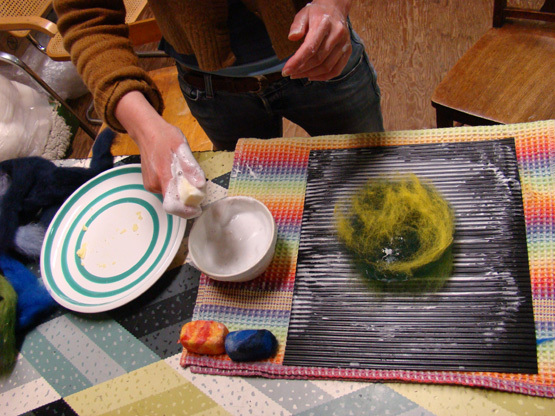 Keep rubbing all areas of the circle hard and fast, blotting off excess soap onto a clean towel. If the wool dries out, add more hot water and soap to your hands. Soon the wool will become hard and felt together. Once this happens, dampen the bracelet, crumple it into a ball and roll it between your palms. It will become smaller as you roll: check the size as you go. When your bracelet reaches the right size, rinse out the soap with water and your bracelet is ready to wear. Your bracelet will continue to shrink every time it gets wet. When it becomes too tight, be sure to cut it off and make a wish and hope that your wish comes true!